Back for 2019 is Catholic Adventure Week! 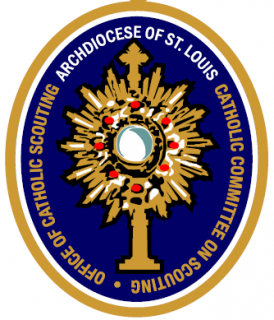 The Greater St. Louis Area Council’s Catholic Committee is providing a great faith-based program at Camp Famous Eagle. Scouts will also get to enjoy all of the traditional aspects that Famous Eagle and the Ranch have to offer, including water sports on Nim’s Lake, rock climbing and rappelling, horseback riding, and a wide range of merit badge opportunities. Space is limited. Reserve your spot today!